Following the draw for Euro 2020 qualifying, the AGONA profile takes a closer look at Armenia, one of the Ethniki’s opponents in Group J. Having only been an independent country for 27 years, Armenia is a far way behind powerhouses of Group J such as Italy, but they are more than capable of causing their fair share of shocks and surprises if not respected. The ‘Collective Team’ as they are known, has never qualified for a major tournament and will be keen to erase that in the years to come. Their best efforts have come under Scottish coach Ian Porterfield after he was appointed in 2006. He led the team to credible results against the likes of Portugal (1-1 draw with Cristiano Ronaldo in the team) and Poland (1-0 win). Other memorable results have come in Euro 2012 qualifying, where the Armenians defeated highly-fancied Slovakia 4-0 and 3-1, and Andorra 3-0 and 4-0. During this phase of qualifying, they scored the most amount of goals in Group B (22 in total), yet failed to qualify for Euro 2012. 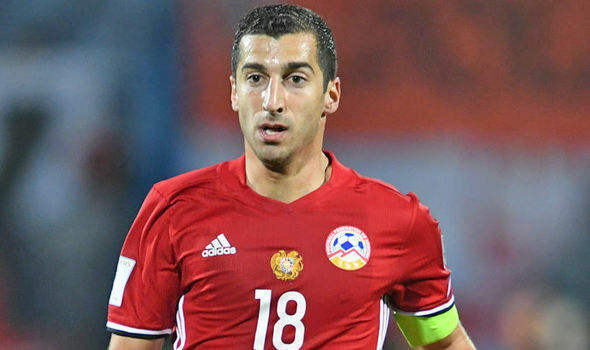 Additionally, talisman Henrikh Mkhitaryan announced himself on the international stage during these qualifying matches with an eye-catching 6 goals. More recently, the team was not consistent enough to top their Nations League group in League D. They managed to put 6 past minnows Gibraltar on one occasion, but did lose the other game 1-0 which sums it up best. Ironing out these inconsistencies will be key for the Armenians as they bid to put in a credible showing in Group J.
Armen Gyulbudaghyants only recently took over as head coach of the Armenian National Team in October 2018, much like Angelos Anastasiadis. The 51-year-old former midfielder enjoyed a long career in Armenia, however, he only managed 1 appearance for the National Team (with Armenia being under the USSR for most of his playing career). He has been coaching for 17 years and is highly respected in Armenia, previously managing an array of clubs and the Armenian U19 and U21 teams in 2002. It goes without saying that Arsenal midfielder Henrikh Mkhitaryan is Armenia’s most important and well-known player. The former Borussia Dortmund and Manchester United ace is still only 29 and has a lot more left to offer for the ‘Collective Team’ although he has 26 goals in 80 appearances to date. He has done a lot for Armenian football and his clever passing game, creativity, eye for goal and work rate all lend to him being the player this team is largely built around. Gevorg Ghazaryan of Chavez in Portugal is another who plies his trade outside his native country and has previously turned in good performances at international level. The 30 year old with 11 international goals has previously played for Olympiacos and Kerkyra in the Greek Super League in short stints. Journeyman striker Yura Movsisyan has a solid goal scoring record for the National Team with 14 goals in 38 appearances. His finishing ability makes him Armenia’s most potent striker. He is currently playing for the Chicago Fire in the MLS (he was raised in Los Angeles and has American citizenship) with previous stints at Krasnodar and Spartak Moscow.